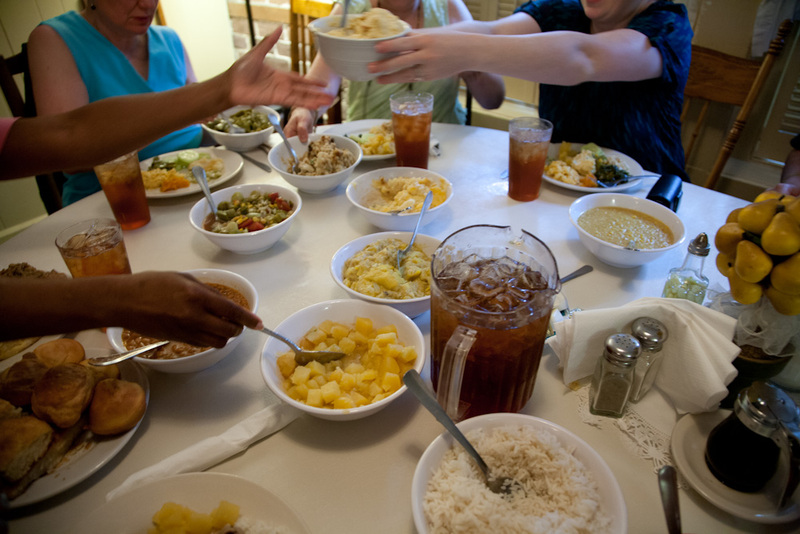 The South has many food traditions going back for many decades. I love visiting and seeing how these traditions have influenced the current food scene today. Below, I’ve listed some of my favorite Southern restaurants by city. I hope you will enjoy them as much as I did. 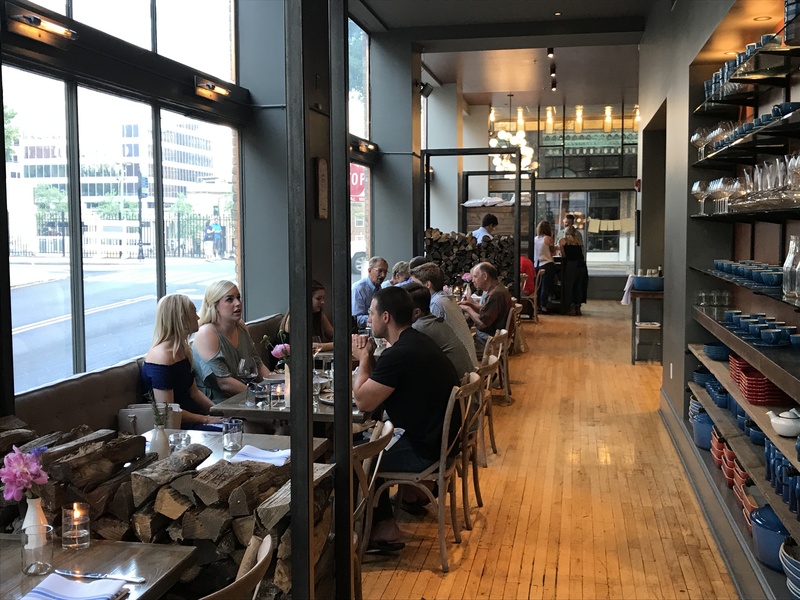 Early Girl Eatery: At 8 Wall Street, this is a spot focusing on farm-to-table, Appalachian food stressing local ingredients. It is perfect for breakfast. I recommend the Early Girl Benny consisting of grit cakes and country ham topped with tomato, spinach, poached eggs, tomato gravy and avocado, served with toast or a homemade biscuit. The chef is the brother of the chef who works at the well-known Hominy Grill in Charleston, SC which is one of my favorite places there. 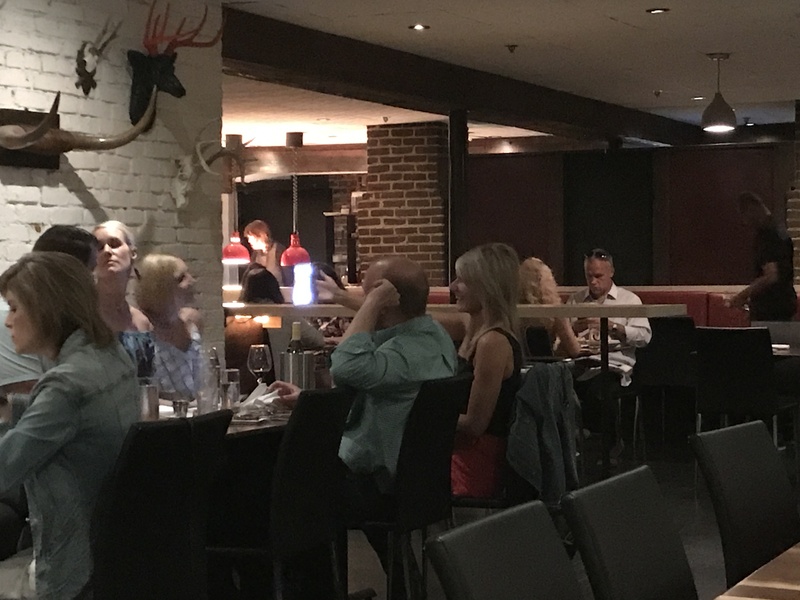 The Admiral: I loved having dinner with family at this restaurant with a creative, gourmet menu. 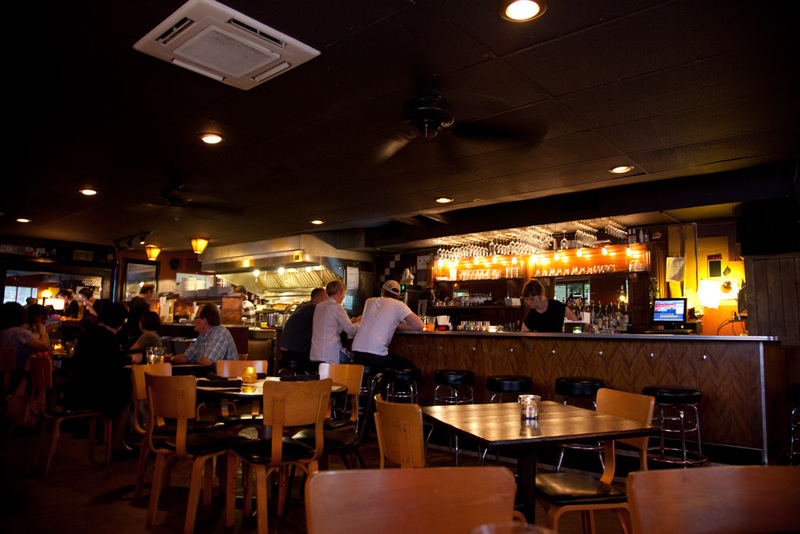 It is located in an old building from the 1950’s with a warm, cozy supper club, dive bar atmosphere. It is at 400 Haywood Rd. Don’t miss it! 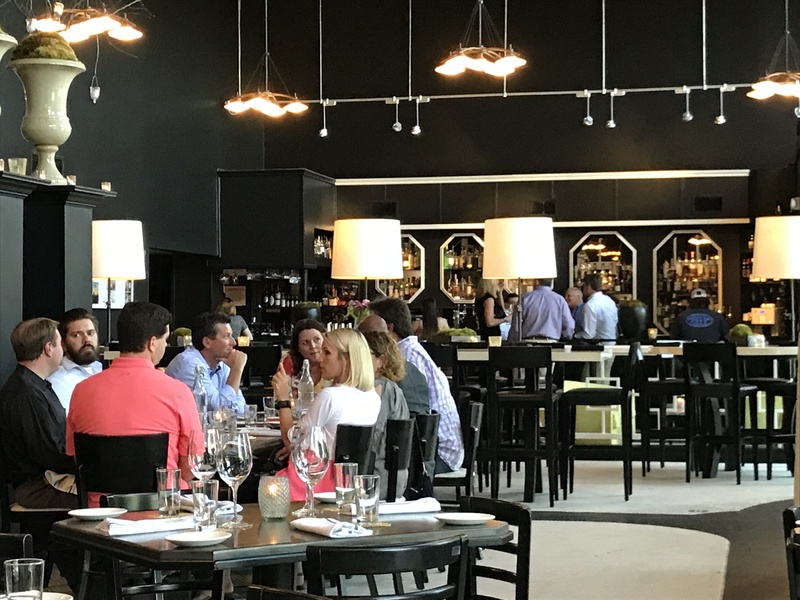 Empire State South: Located at 999 Peachtree St. NE, this is chef Hugh Acheson’s restaurant featuring southern food with fresh locally sourced ingredients. In 2012 he won the James Beard Award for best cookbook and for Best Chef in the Southeast. 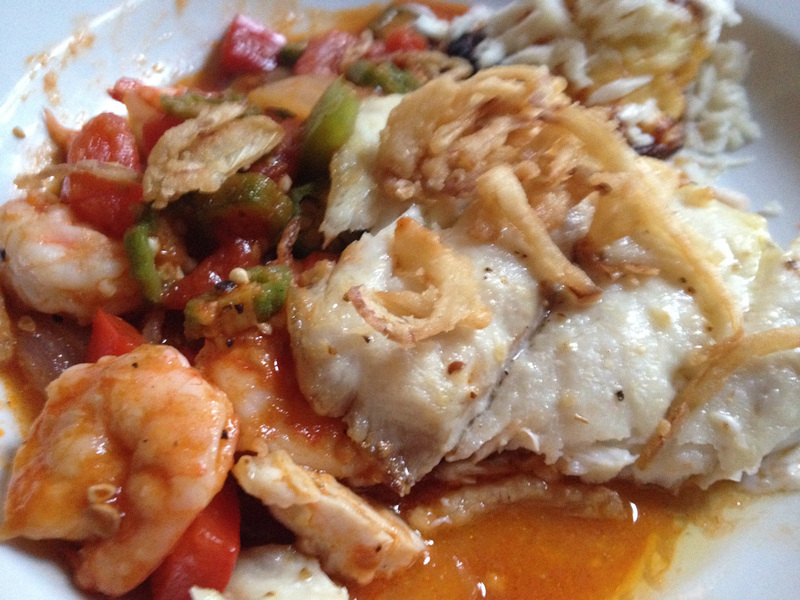 I enjoyed lunch with friends and had a great catfish dish. He has two other restaurants in Athens GA. 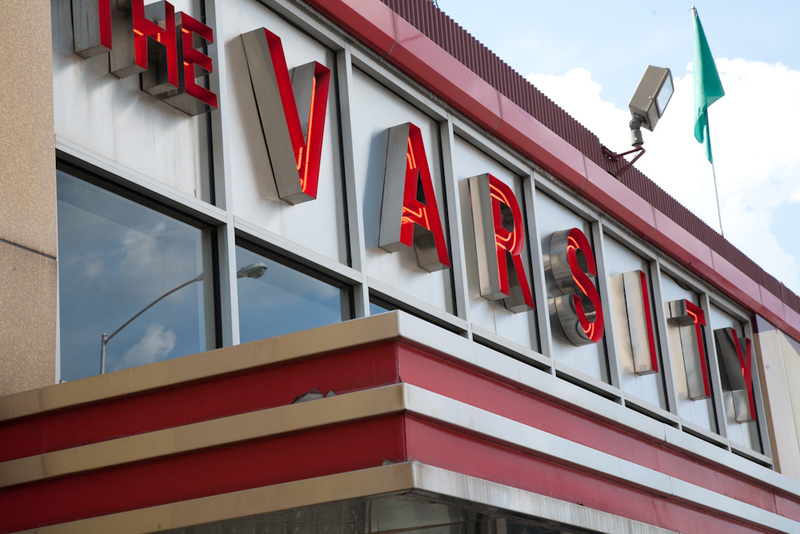 The Varsity Downtown: Billed as the world’s largest drive-in restaurant, this is a long-time favorite since 1928. It is touristy and huge, but quite fun to experience. I stopped in for some great peach ice cream. 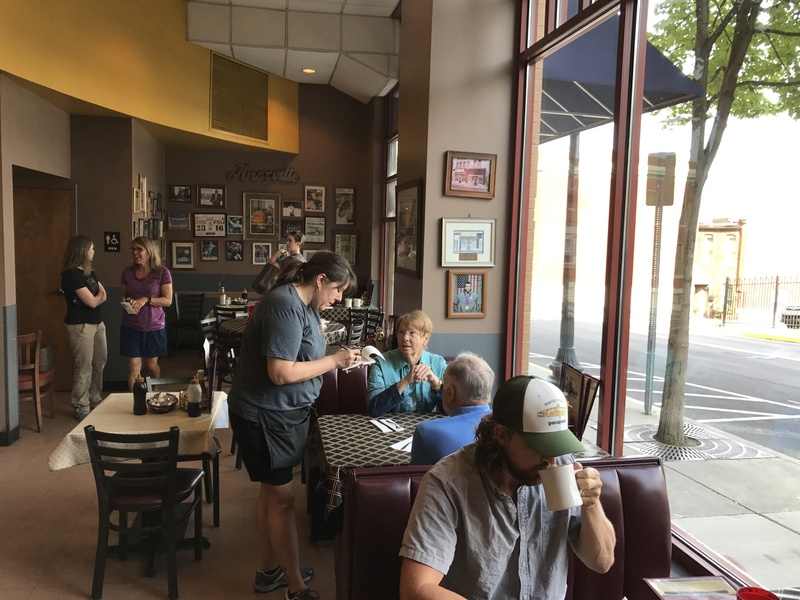 The original is located at 61 North Ave.
Another new find is Pete’s Coffee Shop & Restaurant, which is a fun diner that has been around for over 30 years. I loved the atmosphere and the great food. It is in a great location downtown, so skip breakfast at your hotel and head over early. 540 Union Ave.
Easy Bistro & Bar: At 203 Broad St., Easy Bistro & Bar, is a French bistro and raw bar that opened in 2005 and is located in a renovated bottling plant. 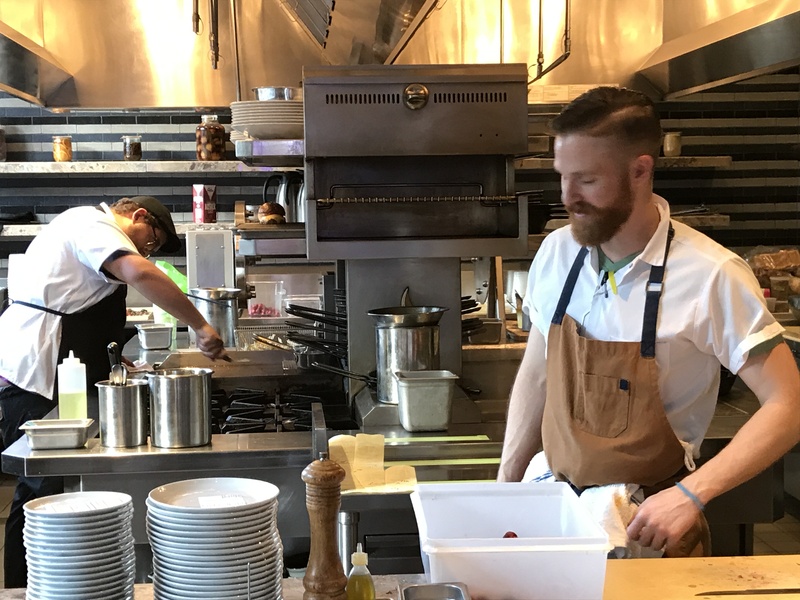 Chef Erik Niel received a James Beard Nomination in 2017 for Best Chef Southwest. He and his wife also own Main Street Meats. They also established the Scenic City Supper Club to bring in guest chefs for special events four times annually. I enjoyed my dinner with local friends. I loved my watermelon gazpacho with shrimp and the salmon entree with white asparagus, fennel, peaches and blackberries. Puckett’s Grocery: Puckett’s is located across from the Tennessee Aquarium at 2 West Aquarium Way. 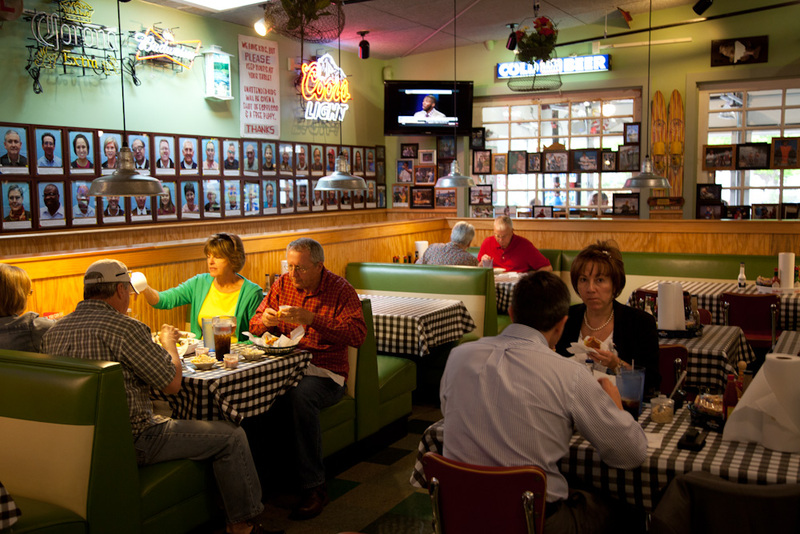 A Tennessee institution, it is open for breakfast, lunch and dinner. This is one of five locations across Tennessee including Franklin and Nashville. I really enjoyed the brisket sandwich for lunch topped off with coleslaw. The meat is slow cooked over cherry wood and was excellent. Live music is featured regularly, so check out their website for details. They have a large lunch and dinner menu featuring other Southern specialties. 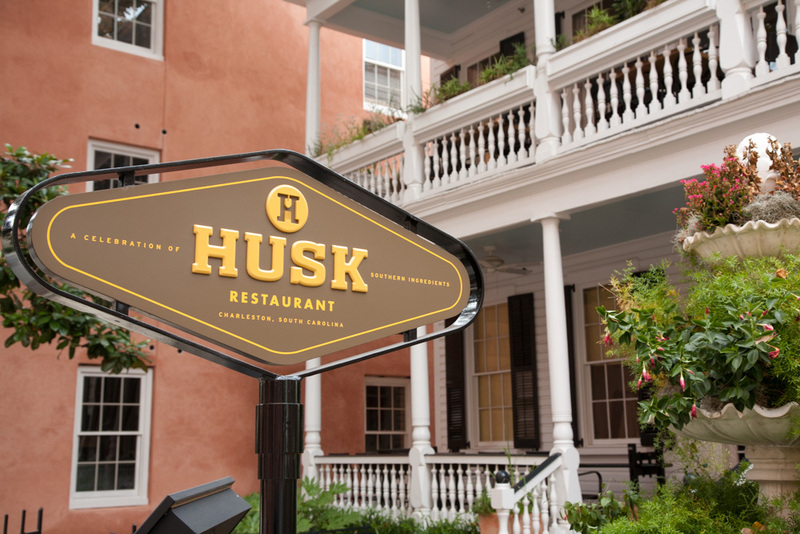 Husk: The Nashville branch of the famous Charleston, SC restaurant is located in a renovated house at 37 Rutledge. There is dining upstairs in the house, on the patio or in the expanded dining room or bar in the lower level. It is known for its new Southern cuisine. I enjoyed catfish with collards, tomato gravy, and hominy faro. 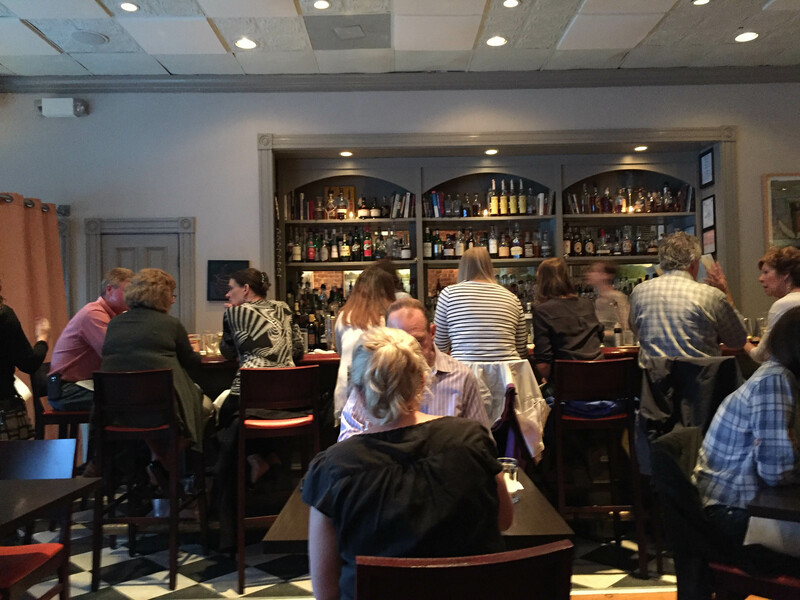 City House: I had one of the best meals I have had recently at this eclectic Germantown restaurant. It is located in an old building that has been transformed to an industrial look with open duct work. It has a large bar overlooking the kitchen, a large dining room, bar and screened porch for those perfect Southern nights. It features a Southern take on Italian peasant food with a number of small plates, salads, pizzas (some can be topped with an egg), pastas and main courses. I loved the trout prepared in a wood-burning oven with breadcrumbs, raisins, peanuts and lemon. I chose the roasted broccoli side with sorghum, walnuts, cranberries and a touch of red onion. A lovely light rhubarb sorbetto and a great Italian rose wine made for a perfect dinner! 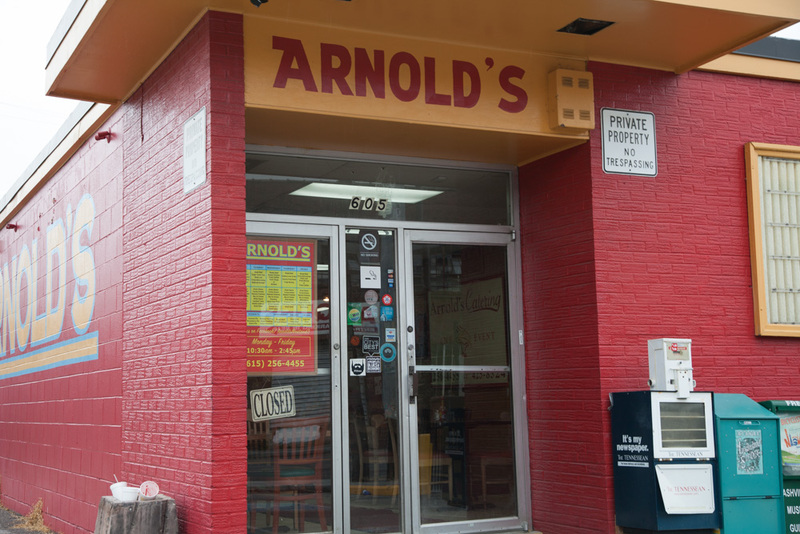 1222 4th Ave. N.
Arnold’s Country Kitchen: At 605 8th Ave. S., this is a local institution serving wonderful Southern cooking. The meat options change daily so go for the meat plus three where you get your meat entrée and add three sides. I love the brisket with squash casserole, mac and cheese and collard greens. I also like the cornbread and the pecan pie. You might go early as people line up almost out the door at noon. 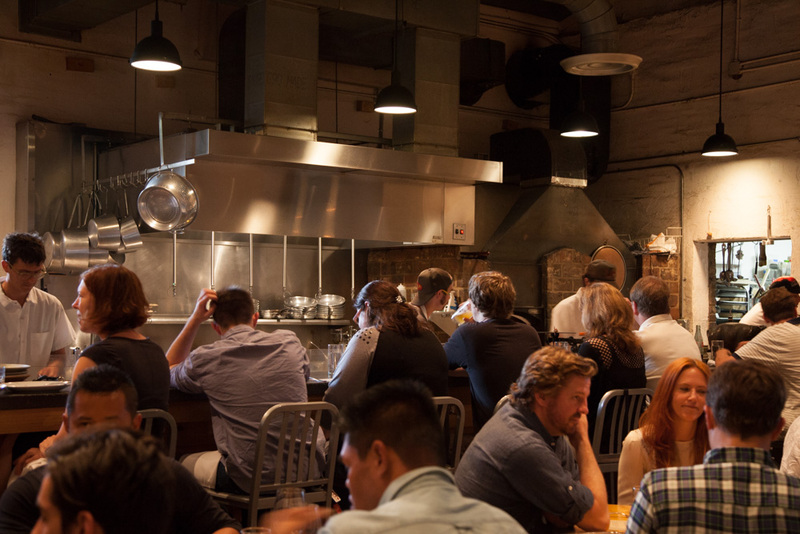 You go through a cafeteria line before heading to small tables as well as longer communal tables. The food was really outstanding so head over fast! In 2009 it received the America’s Classic Award from the James Beard Foundation. 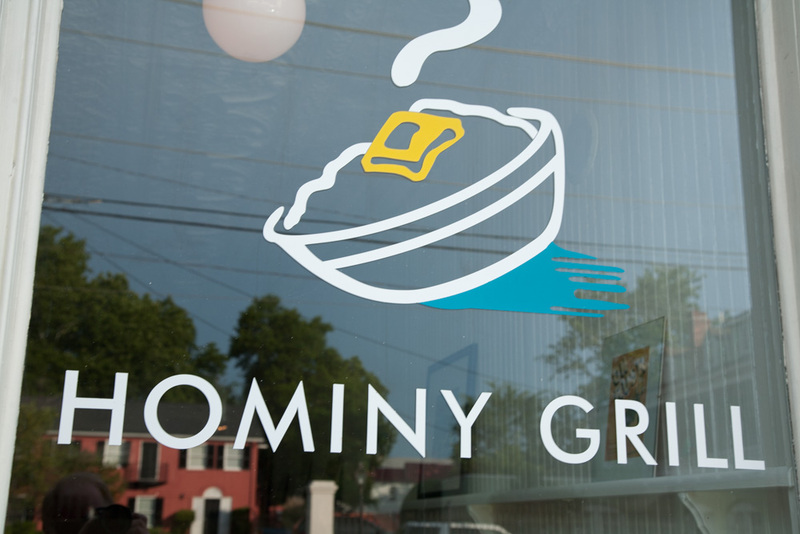 Hominy Grill, 207 Rutledge Ave.: It came highly recommended and I agree that it is one of the best in town. I had fried green tomatoes (my first) with ranch dressing and shrimp creole (sautéed shrimp with tomato, peppers, onions, celery & ham over jasmine rice) plus pecan pie. I would definitely make a reservation for dinner. 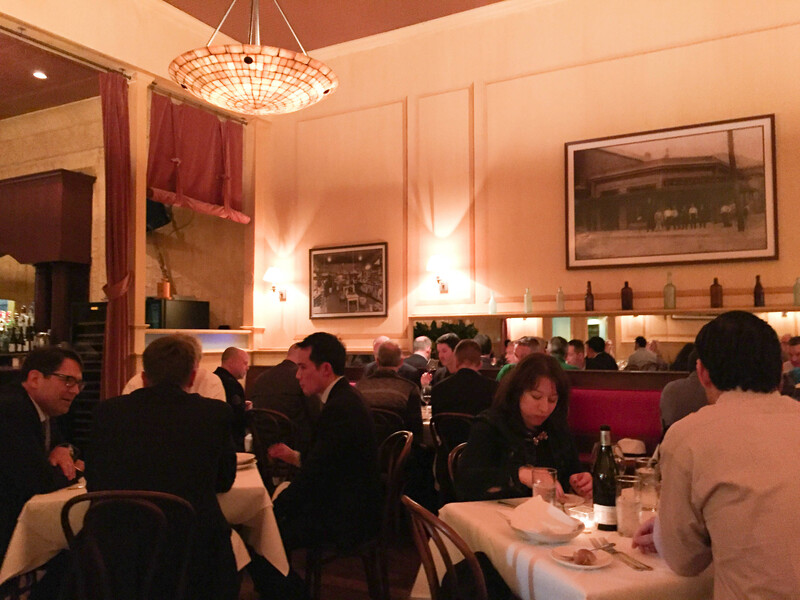 McCrady’s, 2 Unity Alley: Probably the best meal of my trip. Great attentive staff and service. The original structure was built in 1788. I loved the fresh salad, swordfish with beets, and sorbet. 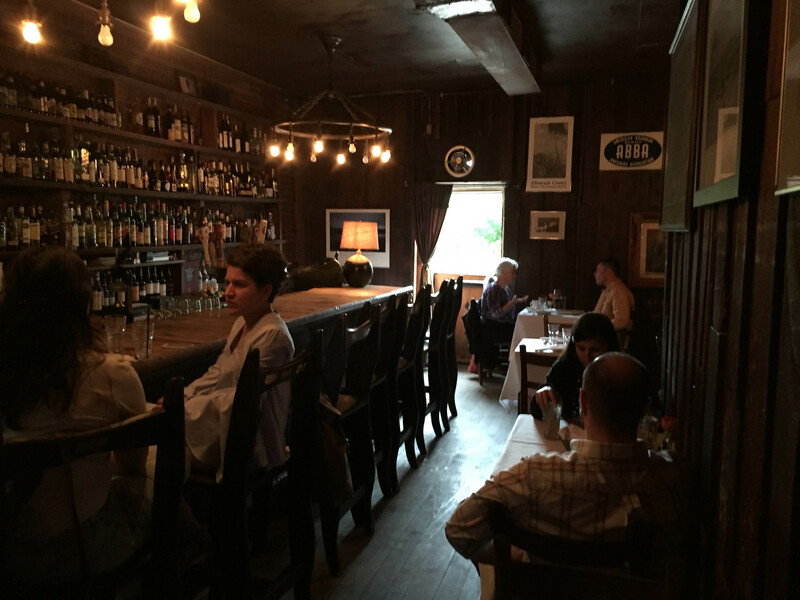 Husk, 76 Queen St.: I had lunch on my last day at the sister restaurant of McCrady’s. Its focus is on local ingredients. The atmosphere was great in the downstairs dining room which had great art and a nice contemporary design. I had the shrimp and grits which was great. I could have licked the bowl it was so good. The peach upside-down cake was also great. Jestine’s Kitchen, 251 Meeting St.: Having seen it on two travel channel episodes, one with Anthony Bourdain and one with Rachael Ray, I had to try Jestine’s. I actually had dessert there. It is casual and fun with a great vibe. The peach and blueberry cobbler was really good but not for those avoiding sugar and butter. The restaurant is named in honor of Jestine Matthews who was born in the Low Country in 1885. The restaurant showcases the wonderful style of home cooking that Jestine provided for generations of friends and family. She died at the age of 112 in 1997, but her legend lives on! Mrs. Wilkes Dining Room: This has to be one of the best dining experiences you will find anywhere. 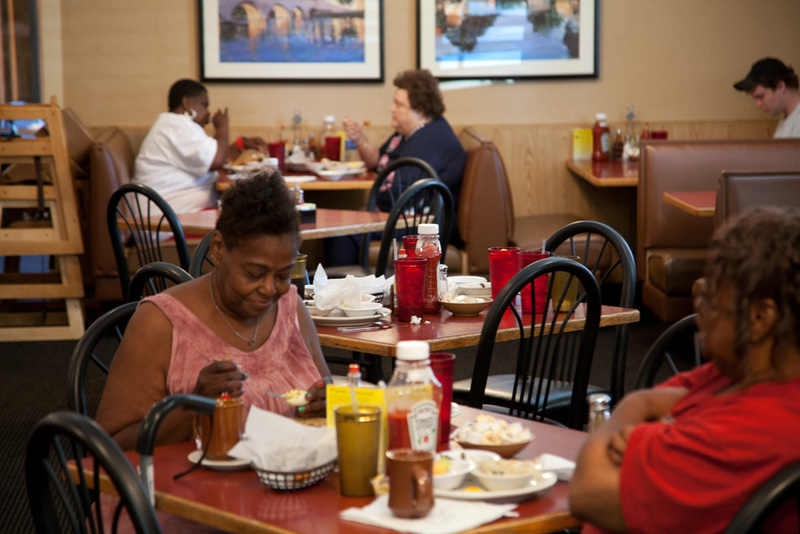 Mrs. Wilkes is known for its home style Southern cooking. The restaurant is open Monday to Friday from 11 am to 2 pm. They do not take reservations. People start lining up as early as 10 am. We recommend getting there no later than 10:45 so you can be seated just before noon. 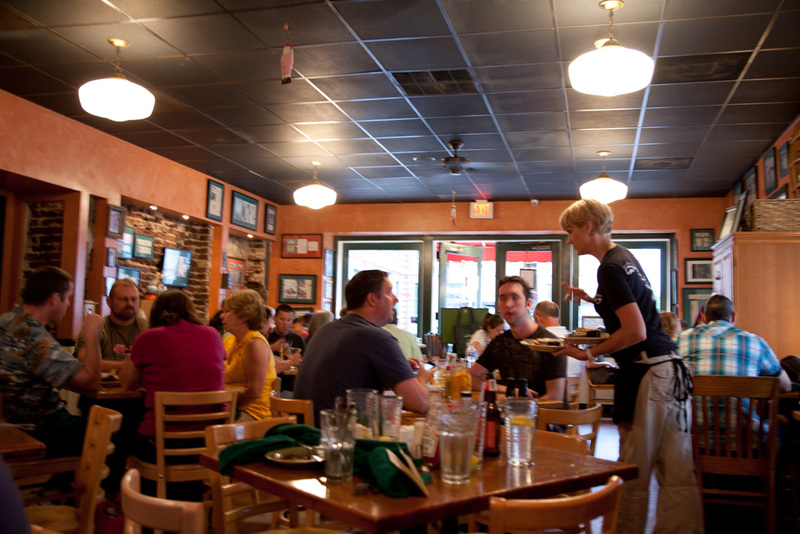 You are seated with a large group of people at long tables where everything is served family style. The food is really incredible. They had fried chicken, barbecue pork and many side dishes including sweet potatoes, butter beans, black-eyed peas, collard greens, rutabaga, red rice, macaroni and cheese and biscuits. The banana pudding was also great. It is at 107 West Jones. 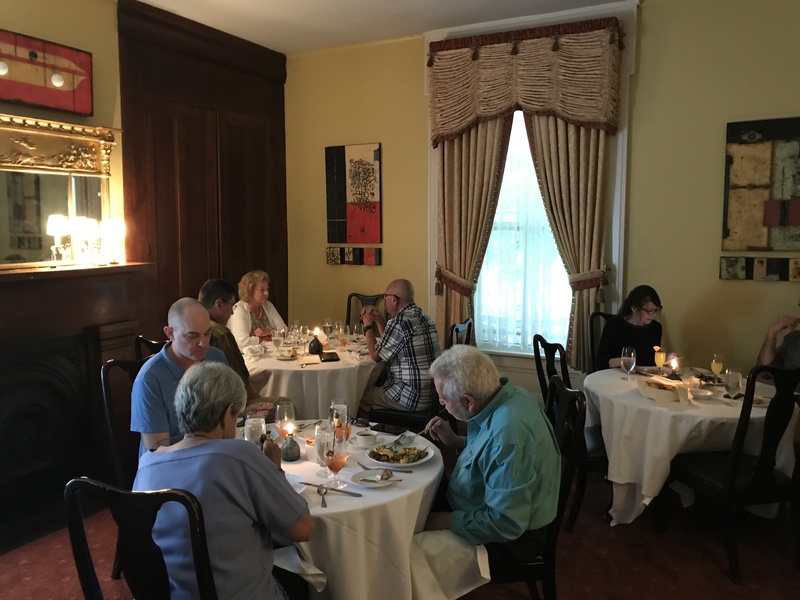 The Olde Pink House: Located in a 1771 mansion in the downtown historic district at 23 Abercorn Street, this is a really great restaurant offering Southern specialties. They are known for their flounder but you won’t go wrong with the well-prepared black grouper stuffed with crab instead! The service was great and the atmosphere very traditional. Try to eat upstairs in one of the original colonial rooms along the front. Table 51 is perfect. Elizabeth on 37th: This is an award winning restaurant located just outside the historic district at 105 E. 37th Street. It was opened in 1981 by Chef Elizabeth Terry in a house that was built in 1900. It is now run by Greg and Gary Butch. The food is very Southern and very good, and is basically refined versions of great southern dishes. For example, a lovely cold English pea soup, salad with watermelon and red snapper with sautéed okra and tomatoes and corn pudding. The décor was traditional and the service excellent. 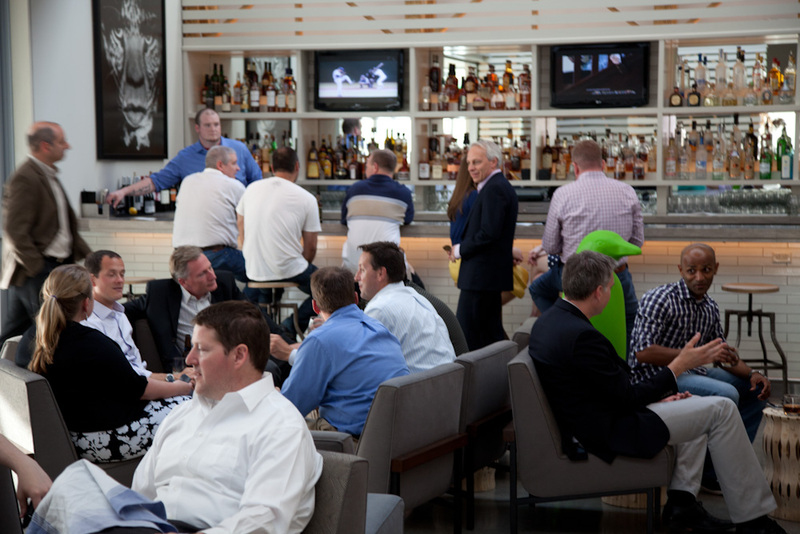 You will notice that many men were dressed in sport coats which made for a great ambiance and setting. The Executive Chef is Kelly Yambor, whose recipes feature fresh coastal seafood, local produce and the restaurant’s own house grown herbs and edible flowers. 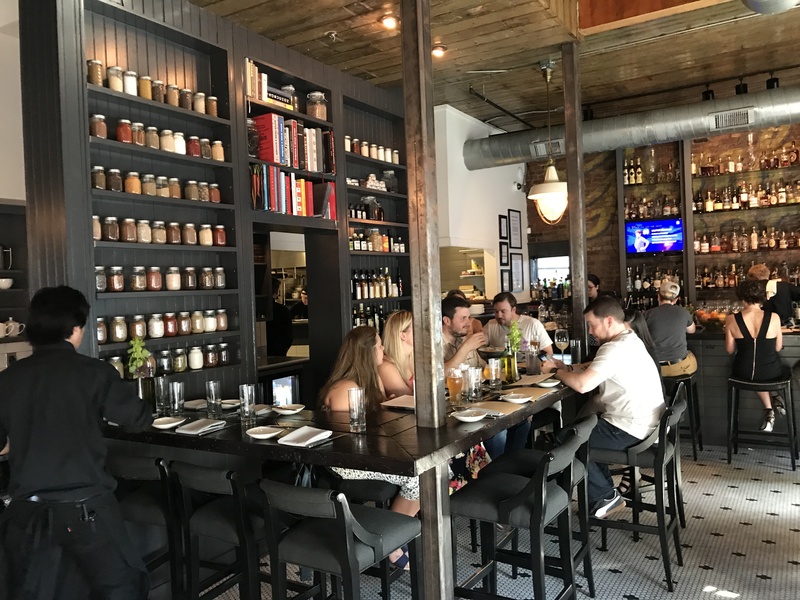 Milkwood, 316 W. Main: Famed Louisville chef, Edward Lee merges Southern food with Asian ingredients at this hip restaurant and bar. I enjoyed dinner with a local friend. I had a wonderful grilled eel dish as well as ramen noodles in a coconut broth with lobster, a catfish cake and mushrooms. Butchertown Grocery is a fine dining restaurant in an historic building from the 1800s, that was a former grocery store. 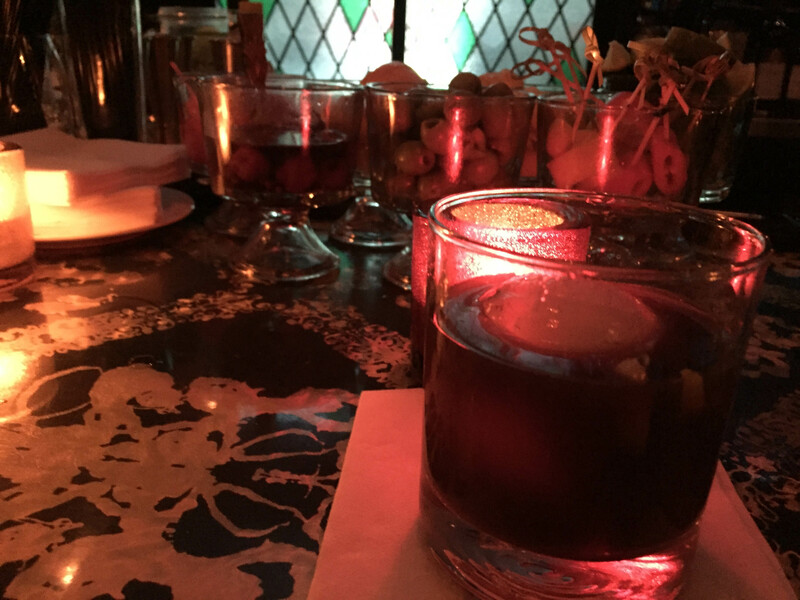 It has a fun bar/lounge upstairs, Lola, that is reminiscent of an old speakeasy. I was there for dinner and highly recommend it. It serves New American fare and artisanal cocktails. 1076 E. Washington. 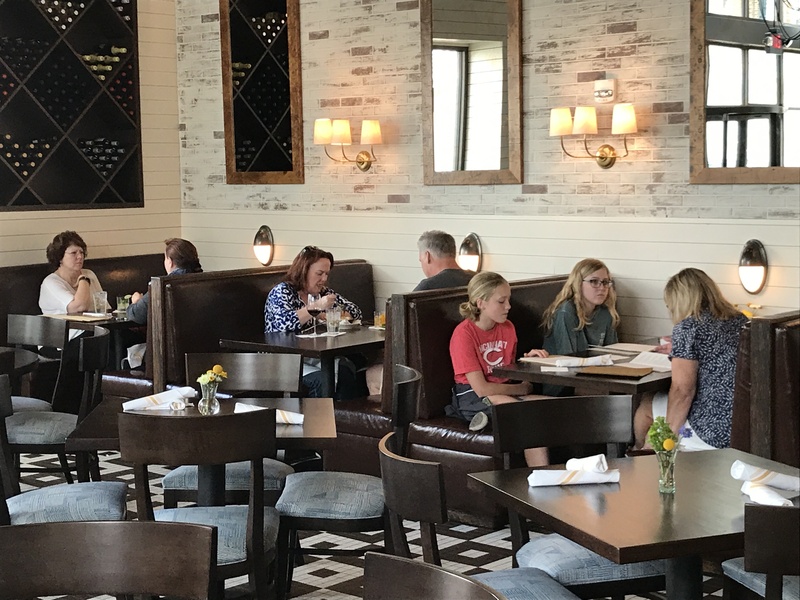 Harvest Restaurant: This is an excellent restaurant featuring locally sourced ingredients and over 70 varieties of Kentucky bourbon. I thoroughly enjoyed the experience along with a great conversation with Jim McArthur, one of the owners, who is delightful. 624 E. Market. Jack Fry’s: Jack Fry’s, at 1007 Bardstown Rd., was established in 1933 by Jack Fry and his wife Flossie. It was a popular local sportsman’s hangout. It was open until 1972. After being vacant for several years and then another concept, it was re-established as Jack Fry’s in 1987. 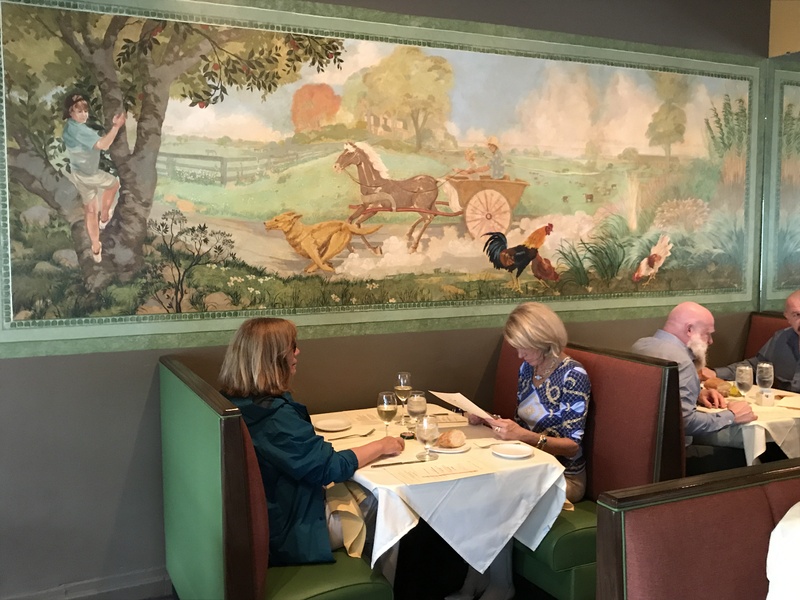 It continues today as a staple of Louisville’s culinary scene and has been featured in a number of national magazines and newspapers from the New York Times, Bon Appetit and Southern Living. 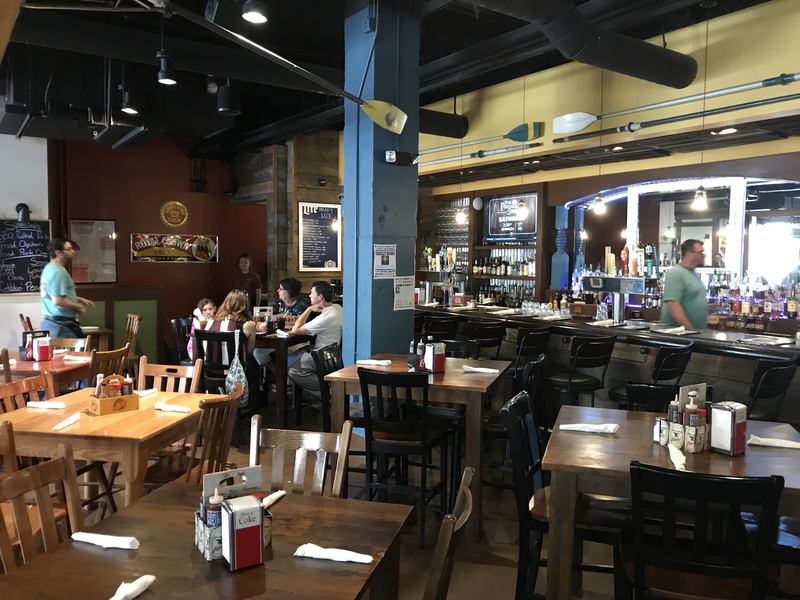 Blue Door Smokehouse: This is a fun spot for BBQ and sides in a casual spot east of downtown Lexington. It was my first stop as I drove into town. I had a great brisket sandwich with collard greens and a great potato salad. They feature brisket, pulled pork, pulled chicken, sliced turkey and smoked sausage. They also feature a number of salads, ribs, sides and desserts as well. I highly recommend it. 226 Walton Ave.
Honeywood Restaurant: At 110 Summit at Fritz Farm, this is an upscale residential, retail and restaurant development. 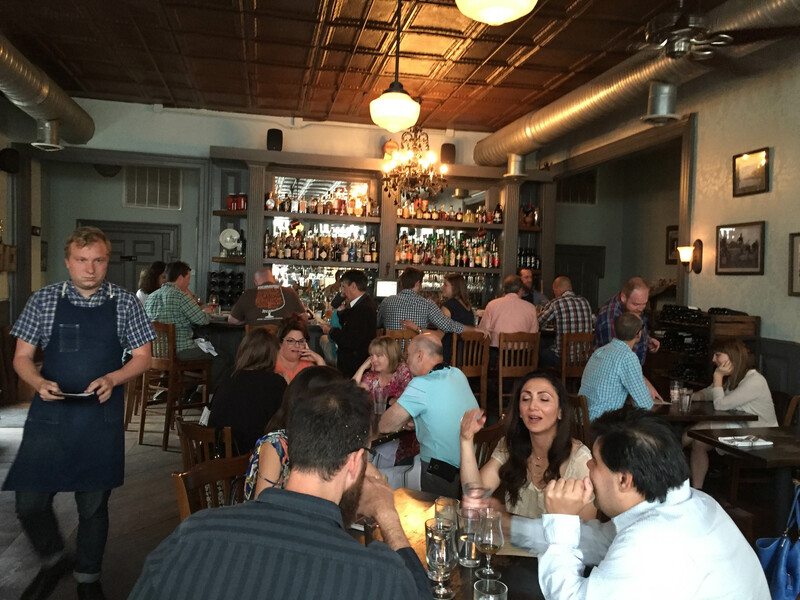 I tried the recently opened Honeywood Restaurant with local friends. Recommended by the Holly Hill Inn, I tried and loved the vegetarian beetloaf, a take on meatloaf made with shredded beets, carrots, sunflower seeds, sesame seeds and cheddar topped with a tomato-onion sauce and served with mixed root vegetable puree and a small salad. 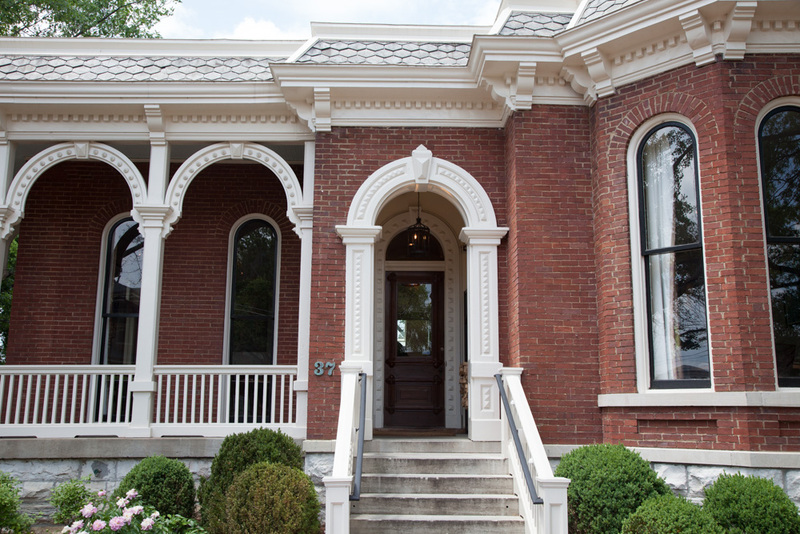 Holly Hill Inn: Located in Midway, KY this historic inn turned restaurant and featuring locally sourced food, is the perfect spot for Sunday brunch. They feature a three course menu with several options. I loved the asparagus soup, the eggs benedict with country ham and a lemon hollandaise plus the best bourbon chocolate pecan pie. 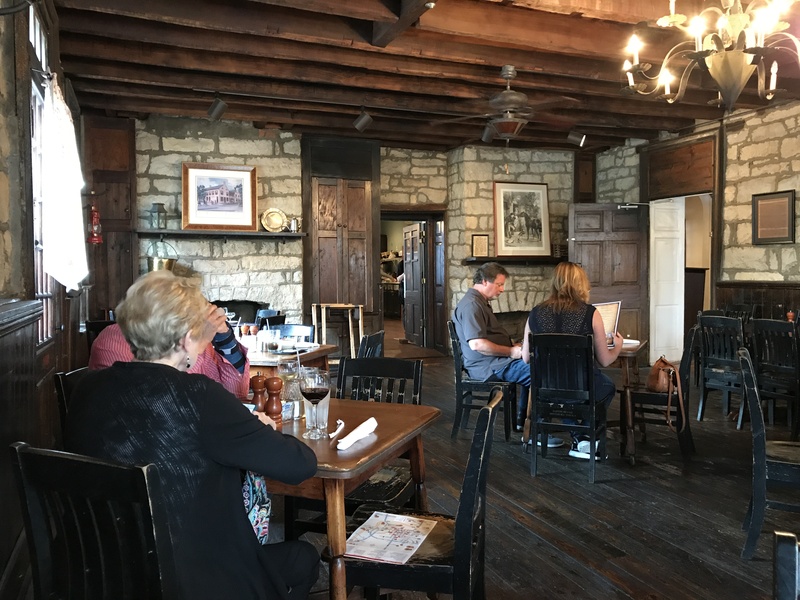 Old Talbott Tavern: This is a charming restaurant in an historic pub from 1799, in one of the oldest western stagecoach stops in the country. It is the restaurant of the Talbott Inn. I highly recommend eating there while in town. The Hive Restaurant: At the 21c Hotel, this restaurant serves three meals a day. Under the direction of executive chef and Arkansas native Matthew McClure, The Hive features refined country cuisine. It has a great decor featuring contemporary art. Watch out for neon green penguins!! Who knows where you might see one. 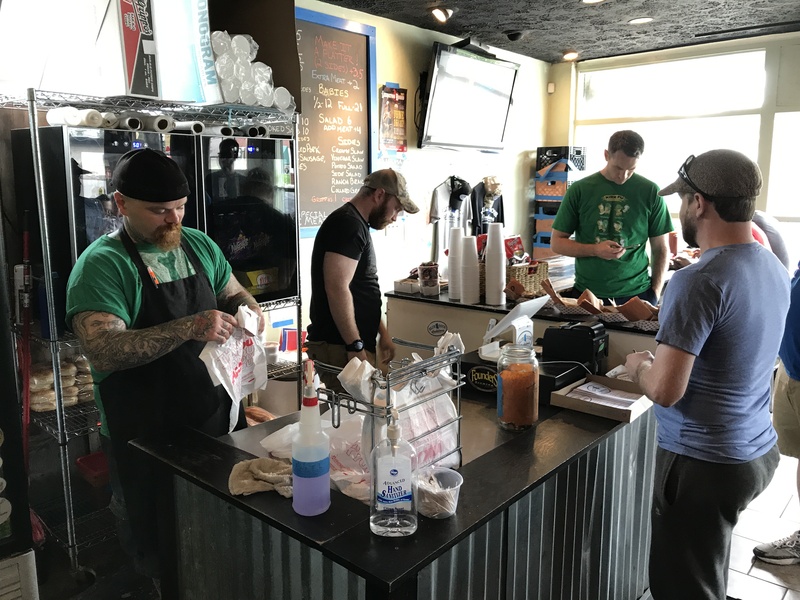 Flying Fish: At 109A Northwest 2nd St., a block off the main square, is a fun cafe and fish shack offering catfish, shrimp, oysters, crab, gumbo, po’ boys and grilled fish. Don’t miss the grilled catfish with rice and beans. The atmosphere is casual and fun. 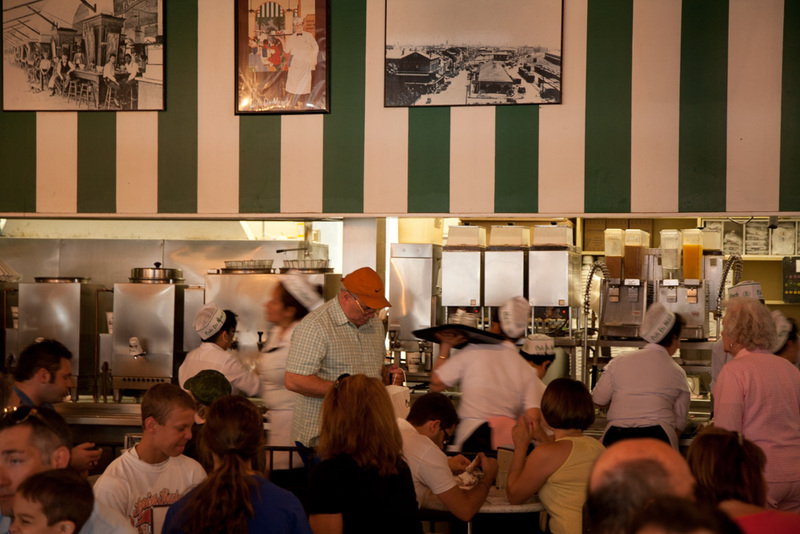 Cafe du Monde, 1039 Decatur: Located in the French Market, this is the place for beignets and chicory coffee au lait. Just don’t wear dark clothing as the powdered sugar from the beignets can be lethal! Trust me on this. 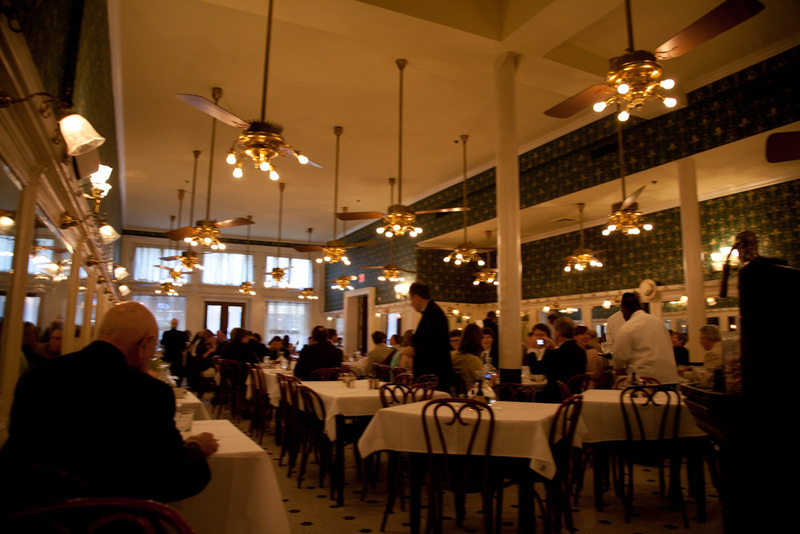 Galatoire’s, 209 Bourbon Street: One of my favorite restaurants in the US. 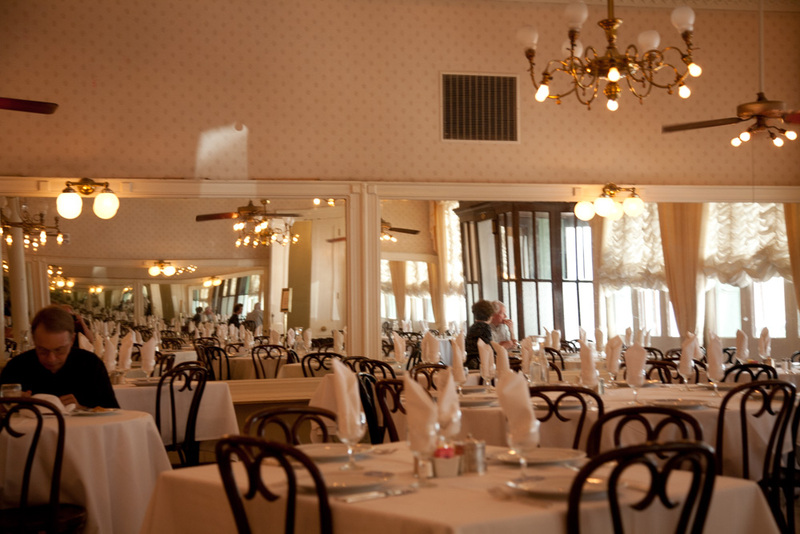 For over 105 years, this is the grand dame of New Orleans’ old-line restaurants. I love the atmosphere of the first floor. Jackets are required for gentlemen so be prepared. My favorites are the Oysters Rockefeller and the redfish with lump crab meat. My server was Wayne so ask for him; he was really good. As a tradition, people normally request their favorite waiters. 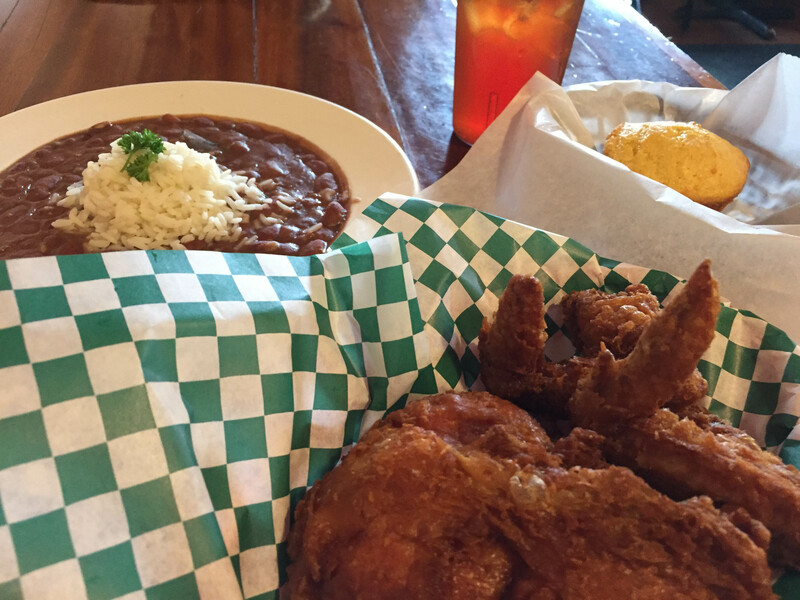 Willie Mae’s Scotch House: This favorite New Orleans restaurant was a James Beard Award Winner in 2005 as an American Classic. At 2401 St. Ann, it is known for its fried chicken. I enjoyed the fried chicken, red beans and rice, cornbread and a tasty bread pudding. I called the restaurant from the airport and found there was no wait so I had the cab driver drop me off on the way into town. It it a great experience. 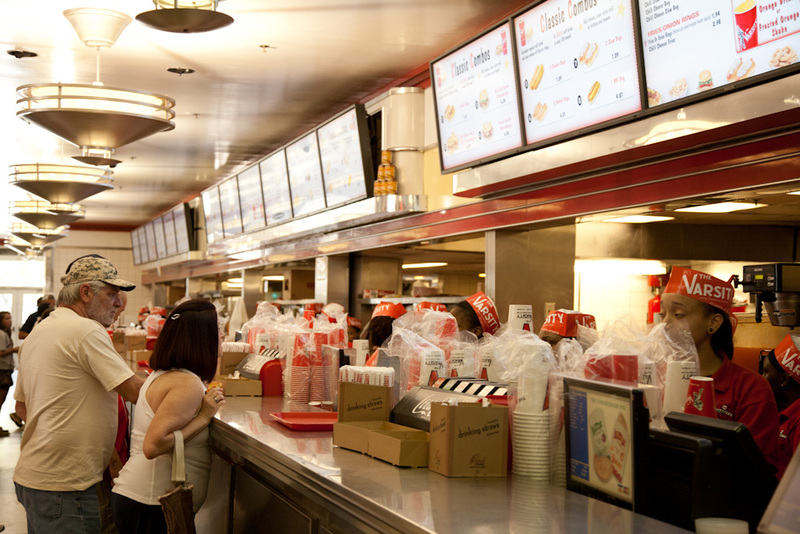 They are only open for lunch, so I suggest going early to avoid the lines. I also loved the casual atmosphere and the decor featuring family photos. They also have a second location in Uptown, Willie Mae’s Grocery & Deli, that is open for dinner at 7457 St. Charles Ave. 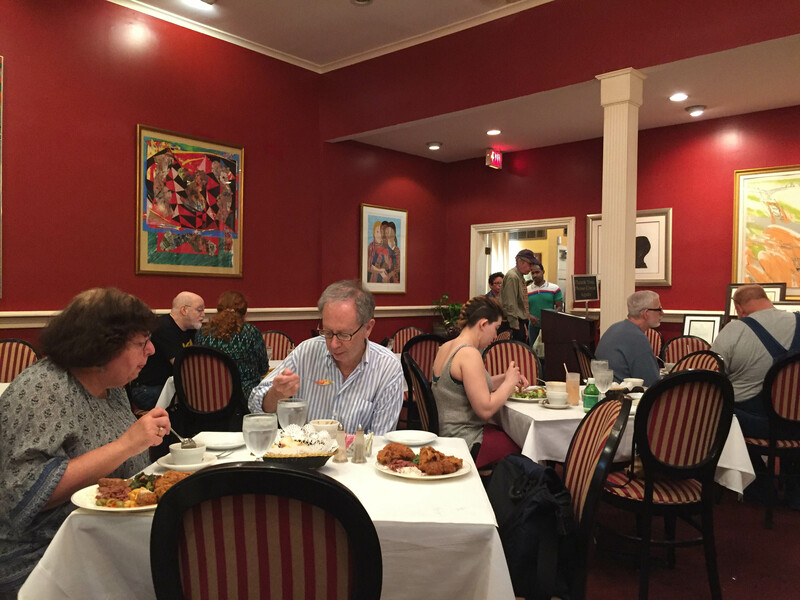 The dining rooms are more formal and highlight colorful African-American art. For lunch you can order off the menu or eat from the buffet. I ordered the Shrimp Creole from the menu which was excellent along with a warm peach cobbler with vanilla ice cream! Lunch is served Tuesday thru Friday and dinner is served on Fridays only. I would suggest calling two weeks in advance to make a reservation. 504-821-0600. La Petite Grocery: Located at 4238 Magazine St. From 2004, this is a popular restaurant located in a quaint building that housed a neighborhood grocery store in the 1800’s. 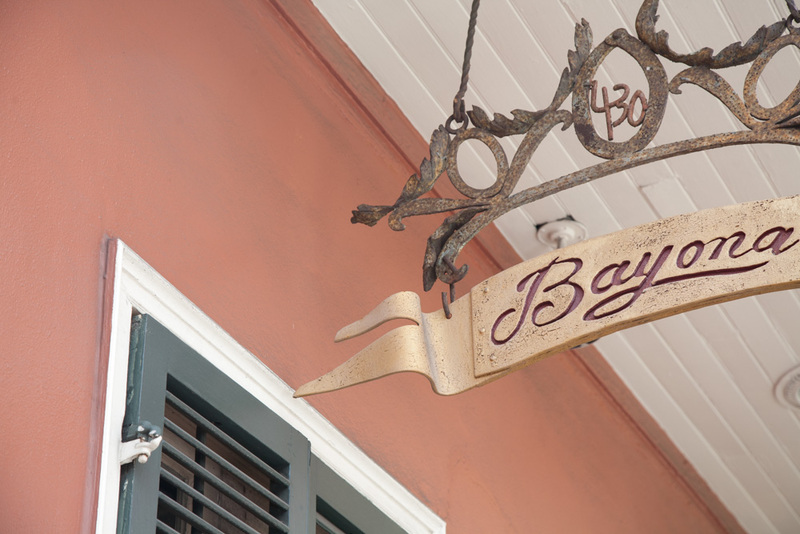 Bayona, 430 Dauphine St.: This is the restaurant of well-known chef Susan Spicer that opened 21 years ago. The restaurant is very attractive and the food really excellent. The menu offers specials each day along with the most popular dishes. I thought the freshness of the ingredients was wonderful. 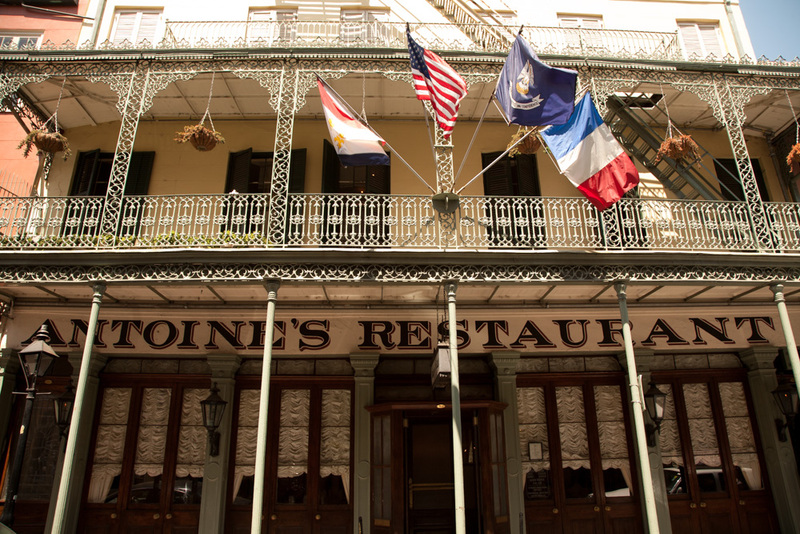 Antoine’s, 1730 Rue St. Louis: Since 1840, this restaurant has amazing food and ambience and is not to be missed! They did have a Spring and Summer lunch menu with 3 courses for $20.16. A great value. Make sure to visit the rooms in the back which are like visiting a museum as they have displays of crowns, dresses and photographs of the kings and queens of the Krewe Rex from past Mardis Gras. 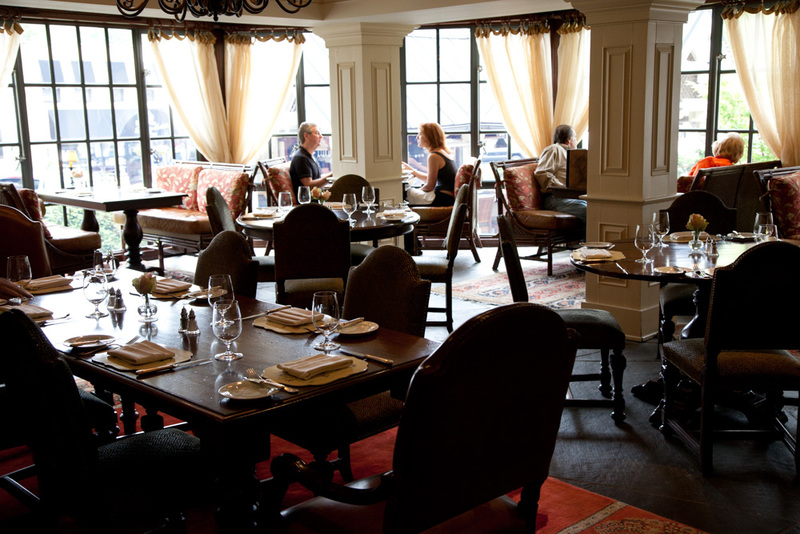 Madison’s Restaurant and Wine Garden: This is a lovely, formal spot located in the Old Edwards Inn & Spa. I enjoyed lunch with a friend where you could get a variety of soups, salads and sandwiches. 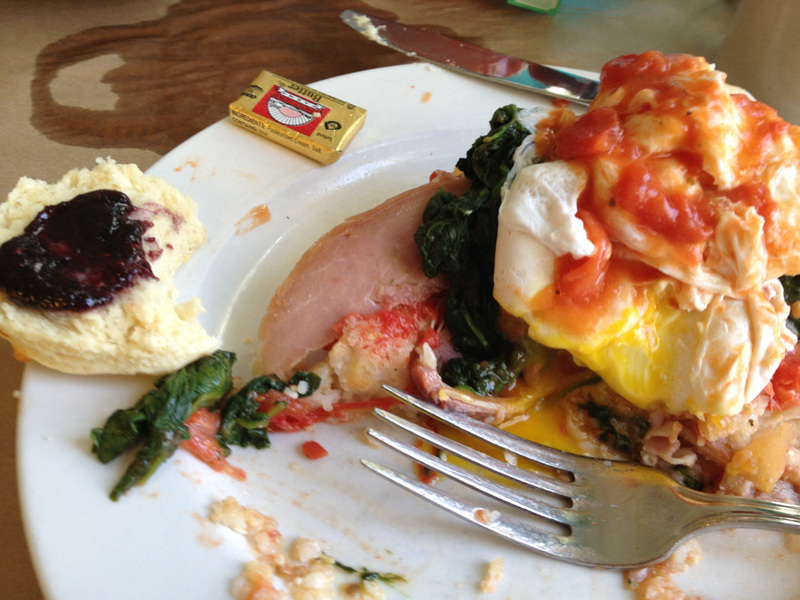 Brunch buffets are found on days such as Easter or Mother’s Day. There is a Wine Garden for casual outdoor dining. It is at 445 Main St.
High Hampton: The dining room located in the High Hampton Inn in Cashiers is a must. It has not changed in years. 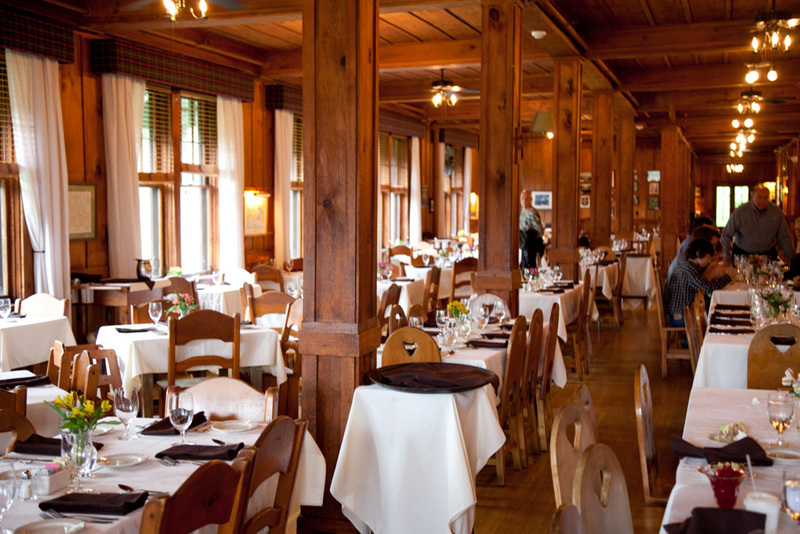 Here the long, rustic dining room features breakfast, lunch and dinner buffets. Located in Highlands, Mountain Fresh Grocery is a gourmet grocery and wine store with a restaurant and espresso bar. 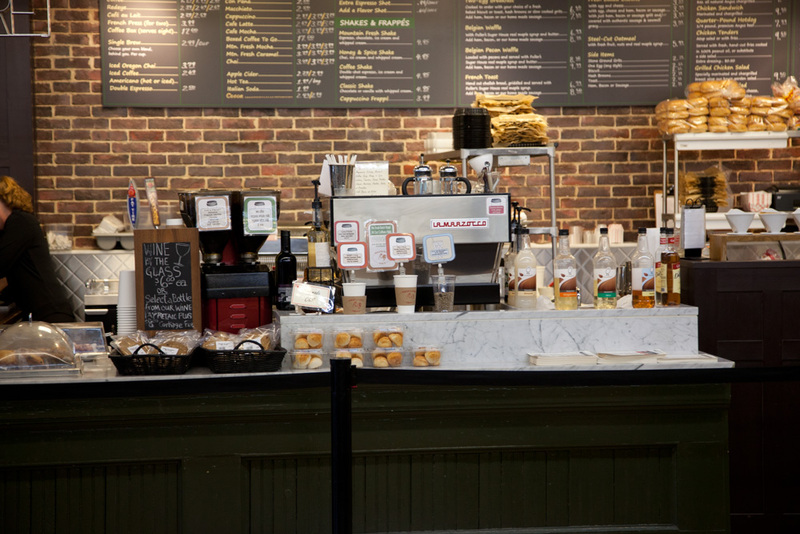 It is a perfect spot for a biscuit and some Southern grits! 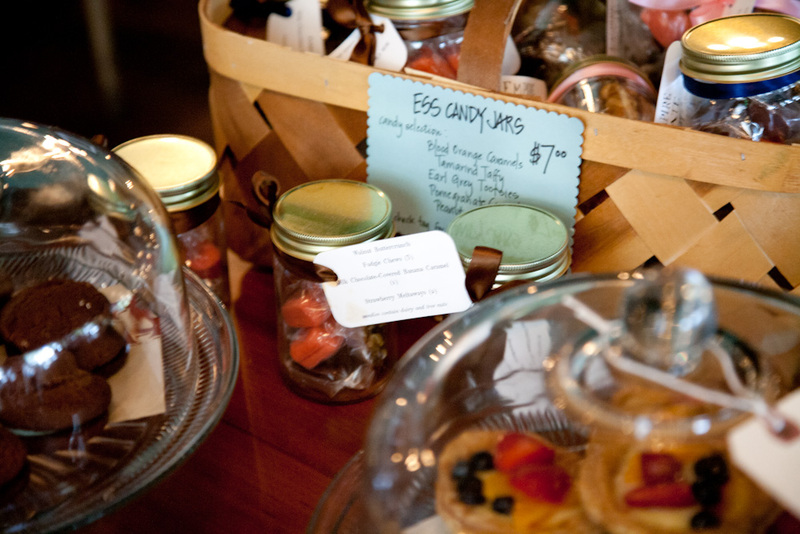 Two other gourmet groceries for take-out include include Rosewood Market at 117 Franklin Rd. and Dusty’s at 493 Dillard Rd. 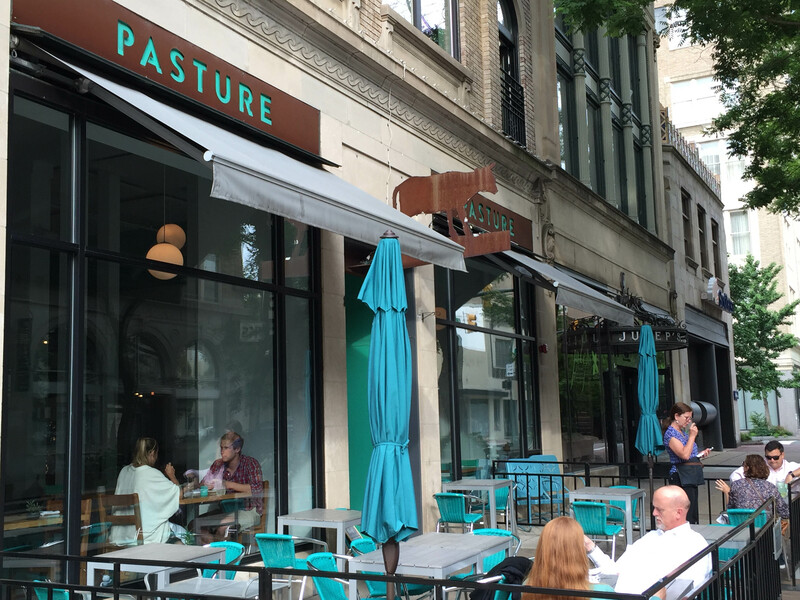 Pasture: Located in downtown Richmond, this is a casual restaurant known for its cocktails and classic Southern dishes. It features snacks, small plates and entrees. Don’t miss the pimento cheese with Ritz crackers! You can find small plates like fried clams, Frito pie, red beans and rice with smoked chicken, tomato jam and pickled okra and entrees from fish, steaks, chicken pork chops and more. 416 E. Grace St. The Roosevelt Restaurant: I enjoyed a wonderful meal with friends at this local farm-to-table restaurant. They are known for their craft cocktails, local wines and local ciders. They feature snacks like a tasty cornbread heated in a maple bourbon butter, appetizers from steamed mussels to crispy pork belly and wonderful entrees from seafood to duck, pork chops and steak. My seared scallops served with curried rice, fried broccoli and pickled yellow raisins served in a peanut sauce were beautifully prepared. The peanut butter pie served with a cocoa whipped cream was also great. 623 N. 25th St.
Heritage Restaurant: At 1627 W. Main, this is one of the best restaurants in town. It is small with a lively vibe. Make sure to book early, as it is very popular. I had a wonderful arugula salad with strawberries, asparagus, radishes and burrata in a ramp vinaigrette. For my entree, the local rockfish served with ramps, mushrooms on polenta was really excellent. 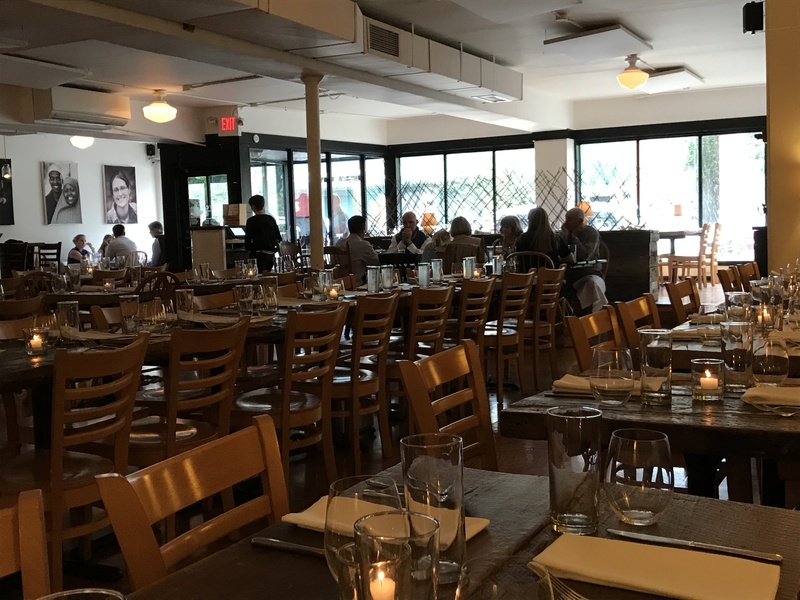 L’Opossum: This small neighborhood restaurant, at 626 China Street, features the French specialties and creativity of Chef and owner David Shannon who was a James Beard Foundation Semifinalist in 2016 for Best Chef Mid-Atlantic. It has a warm design with colorful lighting. I enjoyed a cocktail at the bar of bourbon with a touch of sugar, bitters and espresso. Meeting David was a treat. He oversees every plate coming from the kitchen! 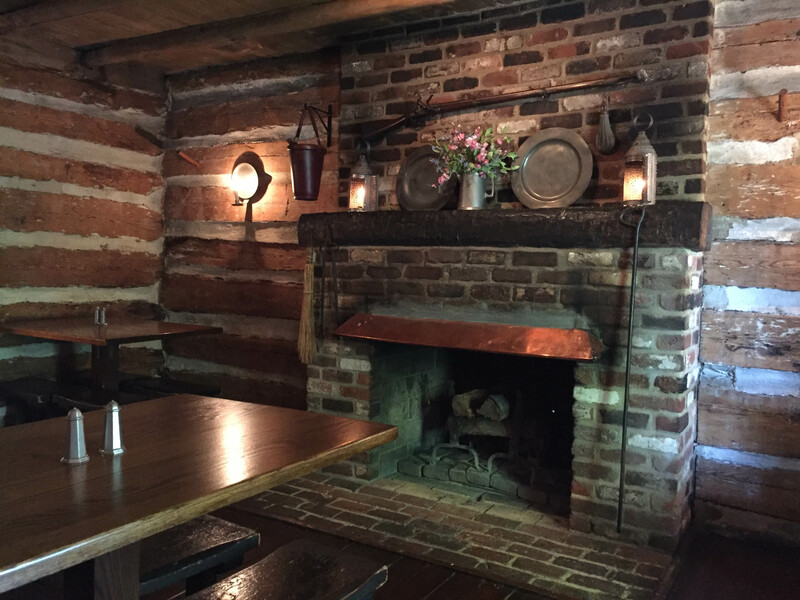 Michie Tavern: This is an historic tavern located very close to Monticello. It is a great spot before or after your visit to the historic home. A buffet lunch is served featuring Southern specialties with seating in a rustic tavern setting. The servers are dressed in period attire. It also features a General Store located in the former Meadow Run grist mill, an armory and artifacts shop plus a metal-smith shop. No reservations are taken, except for groups. It is a little touristy, but is an enjoyable experience. 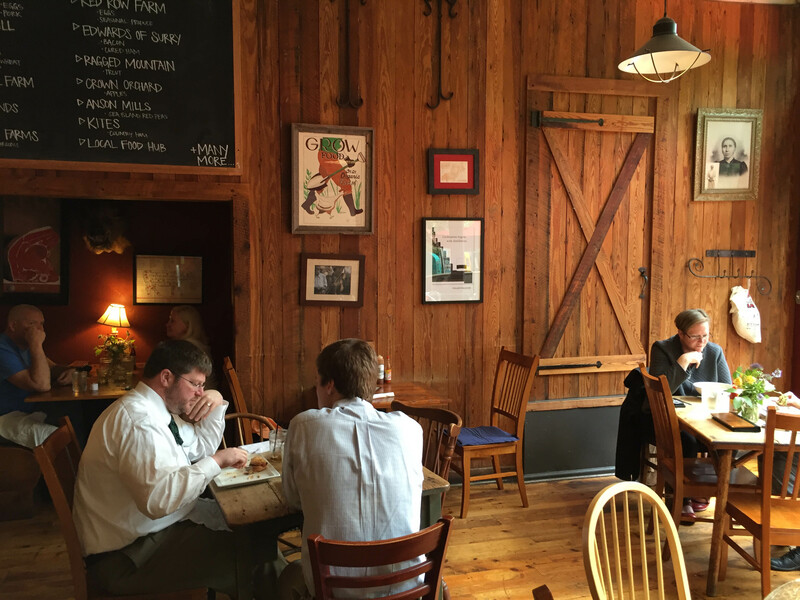 C&O Restaurant: At 515 Water Street, this is a Charlottesville favorite from 1976 that is located in an historic building downtown. 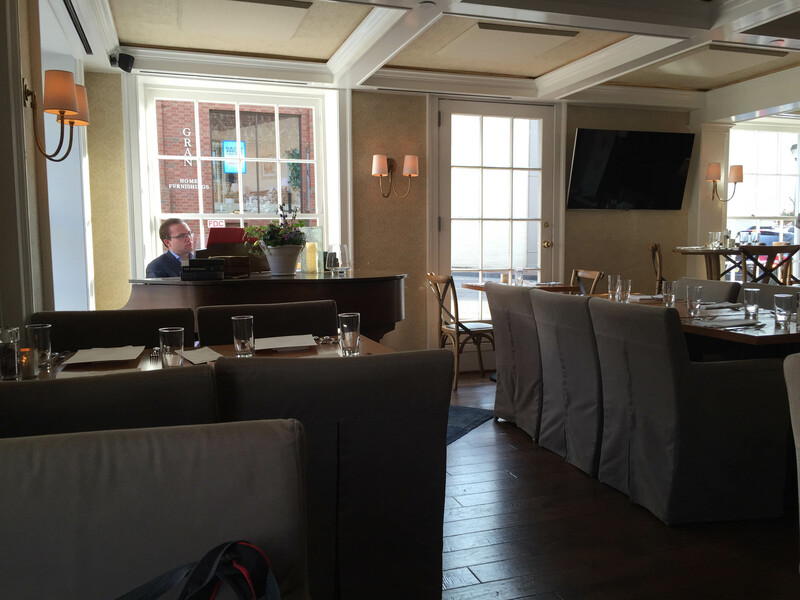 They have a more formal dining room upstairs, a warm bar in the basement, a mid-level dining room with warm decor and an outdoor terrace in back. I enjoyed the staff and a perfect halibut entree. 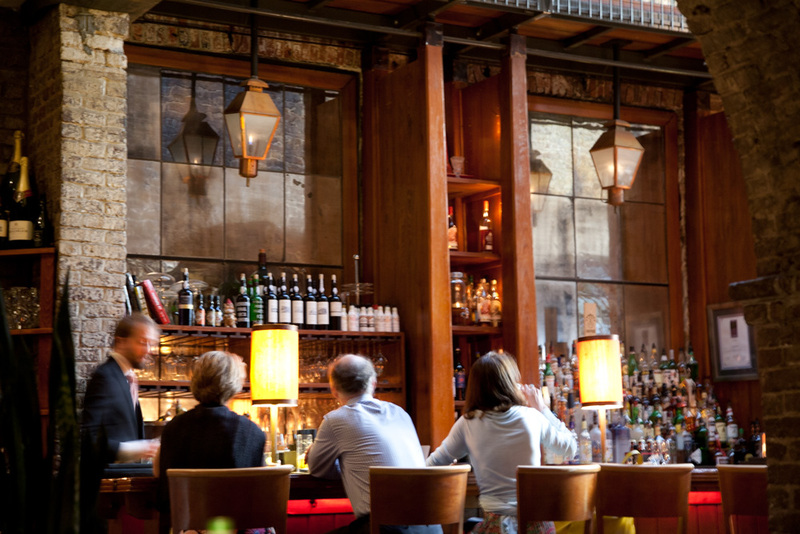 The Whiskey Jar: Located in the historic downtown, this is a fun spot for a cocktail or a casual lunch or dinner. They feature 125 bourbons, rye whiskeys, single malt Scotch and Irish whiskeys. I had a really excellent Virginia ham sandwich as soon as I got to town. 227 W. Main. Haywood’s: The piano bar restaurant featuring locally sourced, seasonal cuisine and nightly entertainment. I enjoyed my dinner listening to the music. I enjoyed a house salad, lovely salmon entree and a local hard cider. 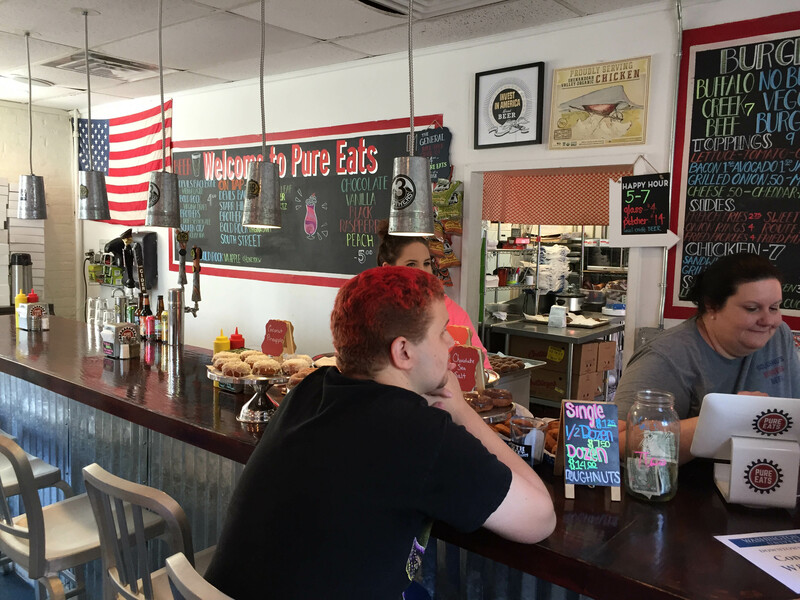 Pure Eats: This is a casual spot known for its burgers, sandwiches, doughnuts and milkshakes. The peach milkshake was to die for!! 107 N. Main St.